Have you ever had one of those days where you want to put out a sign that says, “Gone Fishing,” then make a quick escape to plentiful waters in a quiet landscape? Well, you may have been dreaming about Redding, located in Northern California. Family fun & outdoor activities in Redding, CA abound, and we can’t wait to share the charm with you. It is not unusual for folks in the area to squeeze in a few hours of fishing between the close of the business day and dinner time. If the city name sounds familiar, you’ve most likely stopped there for gas or a bite to eat en route to or from the Oregon state line. Perhaps you’ve looked curiously at one of the largest sundials in the world, not realizing that it is also a bridge in the city! It’s too bad because Redding is a playground for outdoorsy families and it’s about time yours discovered it! 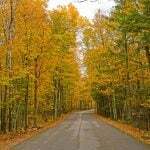 Located in the Shasta Cascade region, an area with seven national forests, eight national and state parks, five mighty rivers, and hundreds of lakes, Redding is a great home base from which to launch all sorts of adventures in nature. From hiking and biking to camping and environmental experiences, check out our list of how outdoor enthusiasts spend their time in Redding. Let’s start with what the area is best known for…fishing. While being the only West Coast location named to Forbes’ list of North America’s Top 10 Trout Fishing Towns, it’s possible to fish in Redding pretty much year-round thanks to a mild climate and easy access to a variety of lakes and rivers. The Sacramento River, a well-known source of huge trout, runs right through the heart of the city. Redding is also surrounded by outstanding fishing waters like McCloud Reservoir, Lake Siskiyou, Castle Lake, Pit River, Hat Creek, Fall River, and Manzanita Lake, to name a few. Fishing is a family affair in this area. 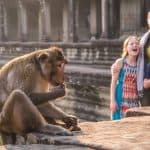 In fact, you can attend family camps that cover fly casting, safe wading techniques, basic entomology and what fish eat, reading the water, and a variety of knots and fly tying, among other topics. 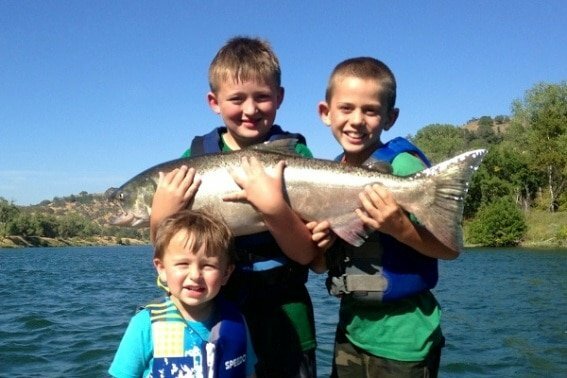 Whether you just want to give fishing a try, or you’re ready to angle with the best of them, Redding is a great place to introduce your kids to the sport of fishing. With more than 200 miles of trails within a 15-mile radius of town, your family could have a difficult time choosing just one adventure to take on together. One of the most well-known is located in the heart of town; the Sundial Bridge is a striking presence stretching over the Sacramento River. It is in fact, a working sundial. On the day my family visited, it was filled with families, hikers, kids on bikes, and many other visitors, some toting fishing equipment down to the river banks. Part of the Sacramento River Trail, the trail extends north all the way to Shasta Dam and in parts winds alongside a historic abandoned railway. Take in views of Mt. Shasta with a hike in Castle Crags State Park. Is there a geologist in your crew? 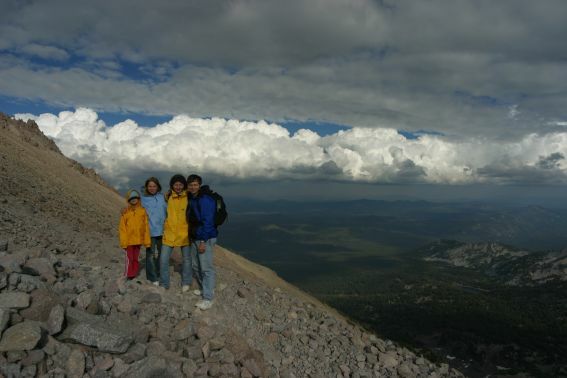 Then you should really explore scenic trails that take visitors to bubbling mud pots, boiling lakes, and sweeping views at Lassen Volcanic National Park. If getting up on two wheels is more your style, your family may enjoy mountain biking in the Whiskeytown National Recreation area. 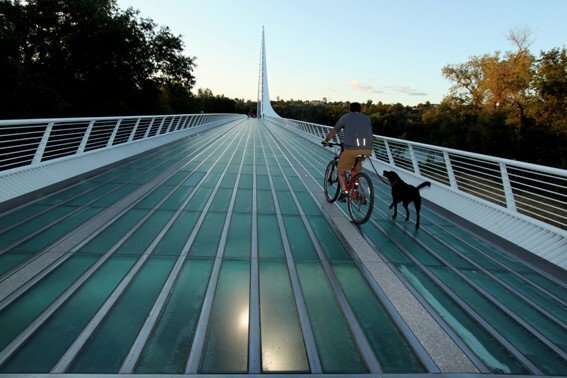 Many of Redding’s trails are dog-friendly and they all are free. So pack some snacks, bring a water bottle, and make sure your camera is charged. Check out the Redding Trails brochure to plot your family’s next adventure. Shasta Lake is home to the largest commercial houseboat fleet in the world. Houseboating is a tradition in these parts with families returning summer after summer. Imagine a weekend on the water, splashing around on a jet ski, floating or getting pulled in a tube by day, and be lulled off to a relaxing sleep at night by the water’s gentle sounds and movements. Houseboats can sleep up to 16 people so feel free to invite friends, cousins, or grandparents to join the fun! A word of advice, pack a camera and binoculars because this area is not only home to a variety of wildlife, but you’ll see some gorgeous sunsets as well! 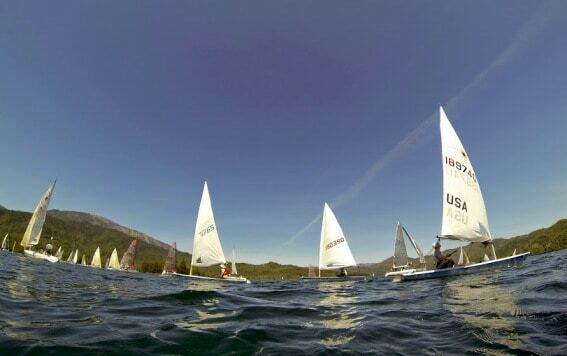 The Memorial Regatta is held annually at Whiskeytown Lake. This area is also home to the Redding Yacht Club and the Whiskeytown Sailing Club. Visitors can rent a boat through one of these two groups or send kids to sailing camp with them! Families can sign up for ranger-led kayak tour, including a 90-minute junior ranger tour, that departs from Brandy Creek Beach and offers parents and their kids an opportunity to learn water safety and discover nature in a tandem kayak. If you’ve ever gone on dogsled ride offered by Dogsled Express and enjoyed a magical trip through the pristine snowy trails below Mt. 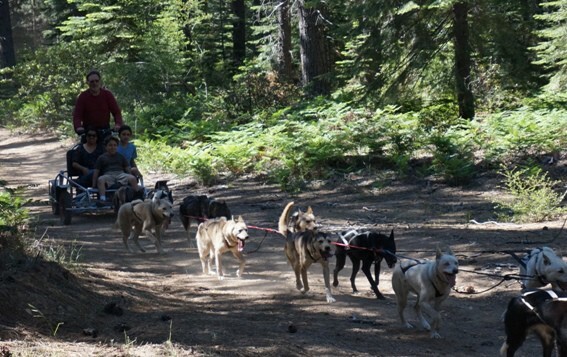 Shasta Ski Park, you’re going to love their newest offering — dog-cart rides! Their custom-built dry land cart provides a similar experience to the winter sled ride, just without the cold weather! Back in downtown Redding, kids love to visit the Turtle Bay Exploration Park. Located adjacent to the Sundial Bridge, this interactive museum offers exposure to science, ecology, and nature, as well as local history. Young visitors participate in fun experiences like hands-on science experiments designed for little hands and young minds. Also to be enjoyed are unique encounters like standing inside an enclosure with Lorikeets and other small colorful birds landing on heads and shoulders, and communing with animals that live in Turtle Bay’s small zoo. Within view of Redding itself, snow-capped mountain peaks beckon from just down the road. “Come explore this land!” they seem to say. Delving in, the mountains reveal waterfalls, flowering meadows, and bird watching. Thermal wonders await in Lassen Volcanic Park, including steam vents, mud pots, and hot springs, as well as all four types of volcanoes (shield, plug dome, cinder cone, and composite), and all types of naturally occurring lakes! McArthur-Burney Falls Memorial State Park has a 129-foot gusher of a waterfall. 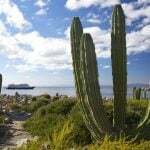 The opportunity to walk a portion of the famous Pacific Crest Trail is also nearby. Castle Crags State Park is named for its 6,000 feet tall glacier-polished crags. Tour the remains of where Shasta City once stood at Shasta State Historic Park. Once the Queen City of California’s northern mining district, all that is left now is a row of old crumbling brick buildings. Nearby cottages and cemeteries are also among the silent reminders of the California gold rush. The County Courthouse, which has been restored to it 1861 splendor, now serves as a museum filled with artwork and historical exhibits. The kids will find the restored courtroom jail and gallows fascinating. Take a 10-minute boat ride across the McCloud arm of Shasta Lake, along with a 10-minute bus ride to arrive at the amazing stalagmite and stalactites of Shasta Caverns. Tours of these stunning limestone caves run about two hours and involve a lot of walking. I’m talking more than 600 steps worth of walking, but well worth it! So, now that I’ve shown you around, what do you say? Are you ready to explore the outdoor activities in Redding, CA? 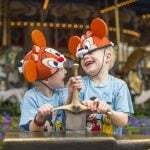 Read reviews of kid friendly activities the Redding area on Trekaroo. Disclosure: Thank you to Visit Redding for hosting my family. 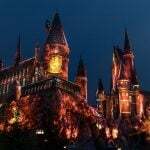 Although we received complimentary lodging, meals, and activities to facilitate this article, my opinions are my own and not influenced by staff or its affiliates.